The heart and the brain are intimately connected, with numerous studies demonstrating that cardiovascular health in midlife is strongly associated with brain health in later life. Increasing evidence now suggests that lifestyle modification through regular exercise and dietary modification may reduce the risk of Alzheimer's disease and related dementias. This presentation will examine recent developments in the emerging field of health neuroscience, providing food for thought on the role that diet and exercise may play in dementia prevention. This workshop is sponsored by the University of Kentucky Department of Psychology, The Harris Center, the Kentucky Psychological Association, and the Kentucky Psychological Foundation. 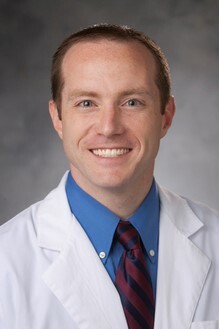 Patrick Smith: Dr. Patrick Smith is a clinical health psychologist and biostatistician at Duke University Medical Center with dual appointments in the departments of Psychiatry and Medicine. His research examines the role of lifestyle modification as a strategy to reduce the risk of cognitive decline and dementia in later life. Intermediate. 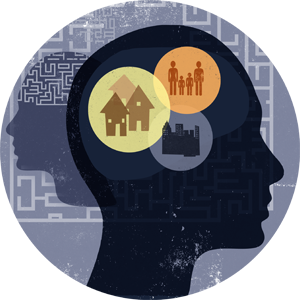 This workshop is appropriate for Psychologists, Social Workers, and other Mental Health Professionals. CE Credits/Attendance: This program will provide 3 CE credits. Cancellations received on/before March 8, 2019 will receive a 90% refund. Cancellations received between March 9-17, 2019, will receive a 50% refund and cancellations between March 18 - 19, 2019 will receive a 20% refund. No refunds available after March 20, 2019. All refund requests must be in writing to the Harris Center at the University of Kentucky: harrispsc@gmail.com.